Aviation Updates Philippines - The Philippines' leading carrier, Cebu Pacific (PSE: CEB), is launching direct commercial air service between Manila and Batanes starting March 25, 2018, just in time for the summer travel season. Batanes emerged as the most requested destination in a crowdsourcing campaign CEB launched last year—the first of its kind in Philippine aviation. CROWDSOURCING. CEB's newest destination came from demands by social media users. Photo by Adrian Smith. Cebu Pacific, through subsidiary Cebgo, will fly once daily between Manila and Basco, Batanes beginning March 25 until October 27, 2018. The flight departs from the NAIA Terminal 4 in Manila at 6:20am, with the return trip from Basco, Batanes departing at 9:15am. 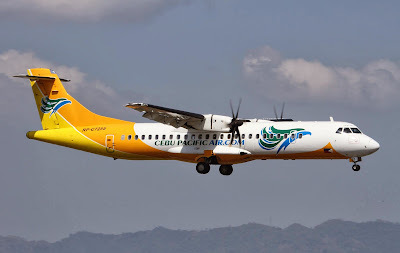 Cebgo will utilize its ATR aircraft for the Batanes route. CEB will hold an introductory all-in seat sale for flights from Manila to Basco from February 12 to 13, 2018, or until seats last. For those who plan to travel from March 25 to May 31, 2018, the summer peak season, the special introductory fare is at PHP2,699. For travelers who plan to visit Batanes from June 1 to October 27, 2018, the all-in introductory seat sale fare is at PHP2,399. The year-round fare from Manila to Basco is as low as PHP4,241, all-in. "Our new flight to Basco is in keeping with our commitment to connect more of the Philippines and make air travel safe, affordable, reliable, and fun-filled for everyjuan. What makes this route more special is that netizens were actively engaged in the selection of our new destination—our customers were part of the process," said Alexander Lao, Cebgo President and CEO. Batanes emerged as the most requested destination among netizens on social media, aside from being ready for commercial aviation and tourism. Using the hashtag #CEBFlyMeTo, netizens were asked which destinations in the Philippines they would want Cebu Pacific to fly next. Other popular choices among netizens included Daet (Camarines Norte), Mati (Davao Oriental), Bantayan Island (Cebu), San Vicente (Palawan) and Siquijor. The top picks were then assessed in terms of readiness for commercial flights, with criteria that included airport infrastructure, safety and security processes, and passenger facilities. CEB flies to 37 domestic and 25 international destinations. The carrier operates out of seven hubs in the Philippines: Manila, Clark, Cebu, Davao, Cagayan de Oro, Kalibo and Iloilo.